Old and On Their Own. Text by Robert Coles; photographs by Alex Harris and Thomas Roma. 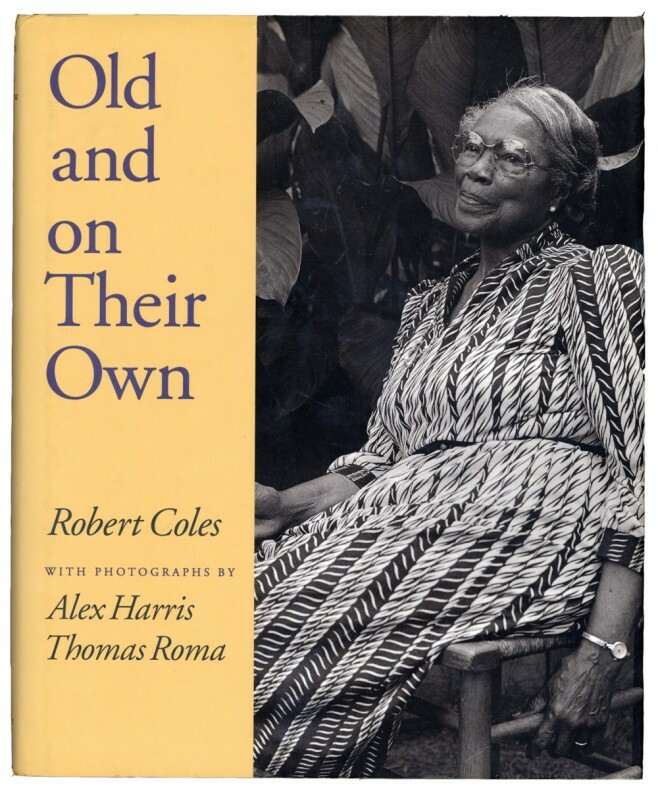 Long recognized for his work with young people, the prominent child psychiatrist and Pulitzer Prize-winning author Robert Coles explores the lives of the elderly in Old and on Their Own. Dr. Coles introduces us to eleven men and women over the age of 75 living on their own. These older Americans share their thoughts, memories, aspirations, and worries, and tell us what it means to be old. Their stories are full of humor and hope, told with courage and dignity. The photographic essay by Alex Harris and Thomas Roma provides an important visual dimension to this book. The photographers worked separately to photograph the older men and women in their own communities. Harris photographed in Durham, North Carolina, Roma in Brooklyn, New York. Their portraits attest to the fullness of life for these older citizens and are a powerful complement to the vibrant voices heard here. Whether rural or urban, black or white, rich or poor, these elderly people emerge as strong and inspiring individuals who deserve our respect and admiration, and who show us how to live our later years to the fullest.